Running seems like a very simple exercise that virtually anyone can easily do without any training or practice, at least to a very small extent. However, there is much more to it than this. The ability to effectively use your body to get the greatest efficiency from it and run in the most effective way possible for you is something which takes a lot of time to learn and comes from great levels of experience. Running with poor technique can lead to a huge amount of problems for you and your health as well as your ability to gain the full benefits from getting involved heavily in distance running. Stability in your form is one of the most important aspects of having a good run and is therefore vital to not being hampered by potential injuries. Improving this problem is urgent for many runners and doing so could potentially be very simple yet bring a huge amount of benefits to both the run itself along with recovery and overall development. In running, the inability to maintain balance through the motions of your action is most of what instability is and this can bring a whole host of problems to a runner. Not having control over how your body moves when doing exercise is a very threatening prospect and means that the exercise isn’t going to feel comfortable to you. Having good stability comes from when your foot is leaving or just landing on the floor and being able to maintain your stance and center of gravity throughout this movement. Instability, therefore, is the inability to keep this line straight through the motions of a run and means you are going to be running way off balance. Some people are just naturally not very good at maintaining their form whilst running and struggle to keep their back straight and their arms moving in the right way due to a natural problem. However many people have this problem because they have never been properly instructed on how to take their strides when running or how to position the rest of their body in relation to their legs. 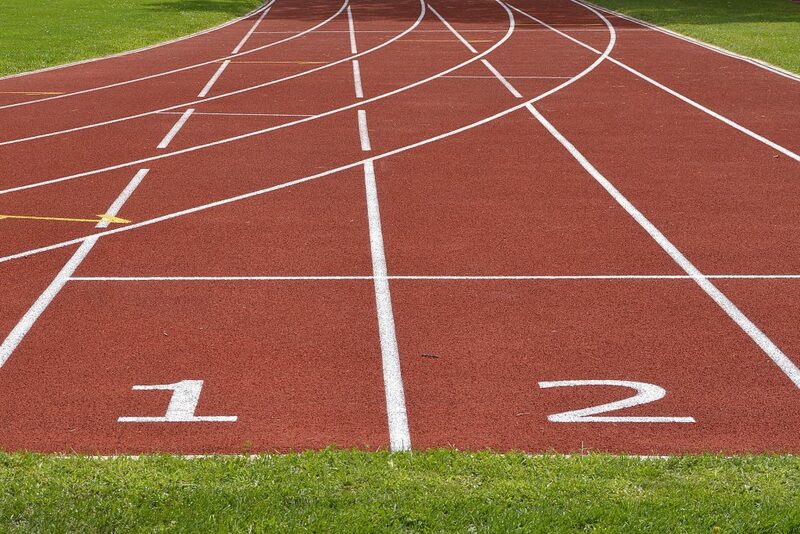 The surface on which you are running could also be a problem. Rapid changes in the surface type or angle can obviously cause problems with keeping yourself upright and moving in the most efficient way another reason could potentially be the running shoes which you are using that aren’t giving you support in the right areas to suit your style and are therefore leaving you off balance. Why is it important to run using the right equipment? A lot of runners who are new to it don’t see a good pair of running shoes as a worthwhile investment as they may soon decide that they aren’t committed to running as a hobby. This is a harmful way to look at it however as having inadequate equipment can be the reason that people don’t enjoy running and so making sure that you are going to feel comfortable using the shoes that you buy is the first step in learning to enjoy running. Having shoes that complement both the physical shape of your feet as well as your overall running style is going to make running far easier and more enjoyable, making you far more likely to want to continue it as a hobby and reap the physical health benefits that it can give you. How to decide on what shoe is best going to be best for you? Everyone has slightly different proportions and shape to their feet and also their entire body. This means that finding a shoe that simply fits and complements that part of you can be very difficult. In running there is also the added problem of the difference in action and style that everyone who runs has. Nobody’s foot lands in quite the same way as someone else’s and people land with varied levels of force onto the ground. 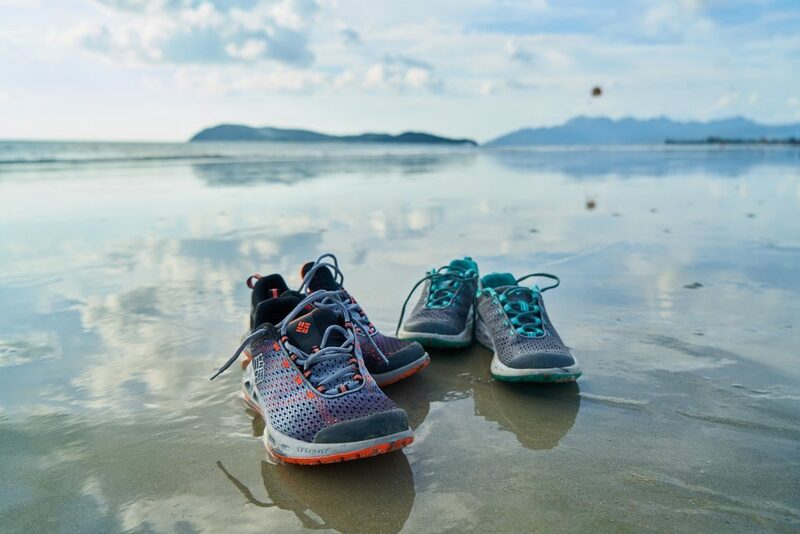 These differences mean that when a new running shoe is designed it has to try and cater for a wide range of people who are looking for something that is going to comfort them without the ability to have it personally designed to suit their individuality. For maintaining stability on a run the way, you land with each stride is crucial. If your foot placement is too wide in your stance or you are landing your foot at a strange angle. Aside from doing your best to stop this when you are running, a shoe that helps absorb the impact of these imperfections is the best way to help maintain balance and stability by counteracting the style of your running. What surface are you running on and do you change it regularly? The ground underneath you when you run has a huge impact on how you run and is a huge factor in affected the stability of your exercise. Running on tracks or roads that are flat and uniform is the best way to have a natural stability under your feet when running. However, for those who run on uneven or patchy surfaces such as grass are going to need a specialized shoe which has been designed to cope with the heavy material underfoot and the constantly changing pattern of the surface. Doing this will vastly aid you in your ability to traverse any physical problems with the surface you are running on. Is this a serious hobby? Most running shoes are fairly expensive and if you aren’t going to use them at least semi-regularly for a long time then the investment in them may not be worth it. Spending money on a high-quality product is your best way to ensure that you are going to get the best experience when running, therefore you will be more likely to enjoy it. So, what are the best shoes running shoes for balancing available on the market? With such a large base of customers a huge market for running trainers has emerged and therefore the amount of shoes available for purchase is also huge. Finding the one which is going to give you best enjoyment from running may take a little time and a lot of trying on different pairs, however feeling stable on your run is one of the most important parts of enjoying and you are therefore much more likely to want to repeat the activity. This model has increased cushioning compared to that of its predecessors and therefore offers wearers even more support in their running. It is also very well fitting in the top part and can help to accommodate those with wider feet, one potential cause of a poor running action. The extra support on the base gives the shoes an incredibly smooth feel when running on them and therefore makes the overall action of running far easier and forgiving if you have a poor action. One of the most supportive shoes on the market which will help you form a strong base for your action and allow you more accommodation for staying balanced. Due to its lightweight materials and its efficient construction, it helps with the stability of your running without you even thinking about it a lot of the time and does so by being extremely cushioning as well as being extremely lightweight. This is a shoe from a less well-known brand than the others on this list and therefore may not have the same instant appeal. However, its technology speaks for itself and it combines a huge amount of support and comfort for the runner using them who may be struggling with maintaining their stability. They use the latest technology to improve the quality of the midsole cushioning without an increase in the weight from the previous iteration and allows the shoe to provide a very high level of support whilst still maintaining a high level of flexibility. The sole is also very durable and made of a quality material in order to give it a very long life. One of the most established brands in athletics continues their series of trainers which are designed to allow people to run more support and stability. It adds to its natural design for support with extra cushioning to give a far more comfortable contact with the floor when using them. This makes them incredibly comfortable to wear making complementing the design and helping those who have flawed running actions to stay stable whilst in motion and therefore allow them to increase their speed and endurance far easier. The upper fabric is very thin for something so durable. This allows your feet to stay cool throughout the run as well as helping to keep the overall weight of the shoe down which helps control the motion of your feet. The dropped height at the top of the shoe gives these New Balance shoes a very snug fit which many running shoes are unable to do. The top of the shoe is also made from an extremely breathable material which allows the foot to get a flow of air to it keeping it cool and keeping the feet cool allowing for more comfortable use. This shoe is much heavier than some of the others on this list and for some, this may not be ideal as it may cause their action to be harmed by not having full control over the extra weight. However, even with the extra weight this shoe has excellent levels of motion control and incorporates this aspect of running into its design far more than any of the others. Whilst the change in weight and the shallower design of the shoe may take time to adapt to, the benefits of the motion control and the excellent cushioning of the sole could bring a huge improvement to the stability of your running. Improved upon its previous models with an addition of wave plates to provide huge benefits to the overall feeling of the shoe. These are among the lightest shoes available on the market and this makes them perfect for those who are looking for extra stability when running at high speeds. Their durability also lends them to this as the cushioning is made from very high-quality materials in a great design. The wave technology makes running using the shoes very easy and allows for people with all different styles and problems able to use them. They can also work on multiple different surfaces and help to support the most vulnerable parts of your foot such as the midfoot and the heel very well. Compared to most of the other upmarket running shoes available these are also very well priced given the quality of manufacturing and their versatility. Running with poor stability can be a huge problem for those who are looking to make a regular hobby of it to improve their health. However, running with poor action can actually bring with it more problems than benefits which would negate the entire purpose of trying to take up the exercise. Working with a coach or an experienced runner is likely to help greatly as they will have a variety of insights on how your action and overall balance can be improved, and most importantly be able to identify what is causing it. The worst problem of having poor stability is always going to be the potential for you to fall or stumble and end up causing serious damage to yourself which would most likely stop you from running in the immediate future. 2 What can cause instability? 2.1 Why is it important to run using the right equipment? 2.2 How to decide on what shoe is best going to be best for you? 2.2.1 How do you land? 2.2.2 What surface are you running on and do you change it regularly? 2.2.3 Is this a serious hobby? 2.3 So, what are the best shoes running shoes for balancing available on the market?